We were delighted to have exhibited at Surfex 2018 this week, our first Surfex representing our old friends at Alberdingk Boley. In addition we introduced DURA as a new principal, with their comprehensive range of organometallic products for the coatings industry. A big thank you to all of those who visited our stand. NeoTech has been appointed UK and Ireland distributor for DURA Europe, with immediate effect. NeoTech has been appointed UK and Ireland distributor for DURA Europe, with immediate effect. We are delighted to be representing DURA, with both their range of Duroct conventional driers and also the innovative DriCAT Cobalt free driers, together with anti-skinning agents. DriCAT high-activity oxidative driers provide cure comparable to that of standard cobalt driers but with improved whiteness, longer wet-edge and other improvements to meet the required dried film properties of high-quality coatings. Products will be supplied from UK stock. Alberdingk Boley has purchased the Leuna manufacturing site from Synthomer. It was announced on 2 January 2018 that Alberdingk Boley has purchased the Leuna manufacturing site from Synthomer. The site had previously been owned by Hexion and acquired by Synthomer in 2016. ‘By taking-over the new site at Leuna, Alberdingk Boley reliably ensures the growth strategy for its polyurethane- and acrylate dispersions’. The new site, located at Sachsen-Anhalt in Eastern Germany, brings the number of Alberdingk’s German emulsion manufacturing plants to three; the existing plants are located in Krefeld and Kerpen. Effective from 2nd October 2017, NeoTech ceases to be the UK and Ireland distributor for Nuplex. The business will now be handled by Tennants Distribution Ltd and all orders should be placed with them. We thank all of our customers to whom we have supplied Nuplex grades in the past and we are confident that your future needs for these products will be handled correctly by Tennants. We are delighted to announce the appointment of Trevor Eyre as a director of NeoTech. Trevor brings a wealth of experience in the supply of raw materials into coatings and construction markets as well as a hands-on background in the formulation of coatings and involvement for over 10 years in chemical distribution. We warmly welcome Trevor as part of the NeoTech team. 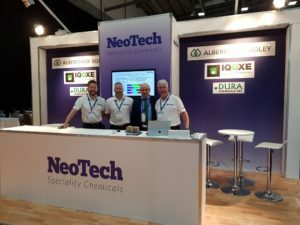 We are delighted to announce that Alberdingk Boley has chosen NeoTech to represent their company and products in the UK and Ireland. This arrangement comes into effect on 1st July 2017. Alberdingk Boley is a highly respected, innovative market leader in high performance polyurethane dispersions, acrylic resins and allied products for the Coatings and related industries. In addition Alberdingk remain a leading European supplier of Castor and Linseed oil and their derivatives. NeoTech are now representing Cellucomp and their innovative high performance co-binder Curran®, which is derived from a sustainable, natural source. We are delighted to formally announce our representation of Cellucomp, a dynamic and innovative material science company based in Scotland. 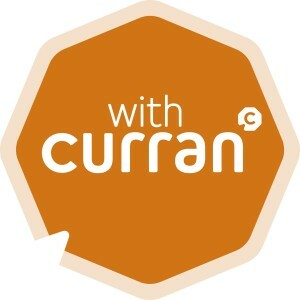 Curran® is a novel material developed from the extraction of nano-cellulose fibres of root vegetables, which offers film enhancing properties for paints and coatings. Curran® can be described as a high performance co-binder for waterborne systems, which brings enhanced mechanical strength and water resistance to the coating film. Its unique properties result in formulations with significantly increased crack resistance yet much reduced solvent content and improved drying, open-time and application properties. More information about this exceptional product can be found here and the link to the formal announcement from Cellucomp is here. NeoTech are now supplying IQLIT emulsions from IQOXE, produced in the Tarragona manufacturing plant formerly owned by Celanese. In December 2015 IQOXE acquired the former Tarragona emulsion production plant of Celanese Emulsions, along with a technology licensing agreement for the production of polyvinyl acetate and vinyl ester polymers, styrene acrylic copolymers and acrylic dispersions. NeoTech is now handling the distribution of the full range of IQLIT emulsions manufactured by IQOXE, into the UK and Ireland. These products are supplied into the Paint, Construction and Adhesive industries.